I looked across the crowded pool, lazily wondering what time the bar would start serving sangria. As my gaze aimlessly followed the passers by, it was caught by something glittering in the noonday sun. I had never felt this way before, I felt drawn to it as if it were an inevitable cosmic collision. Moving slowly, a sudden move would make it take flight, I walked towards it. 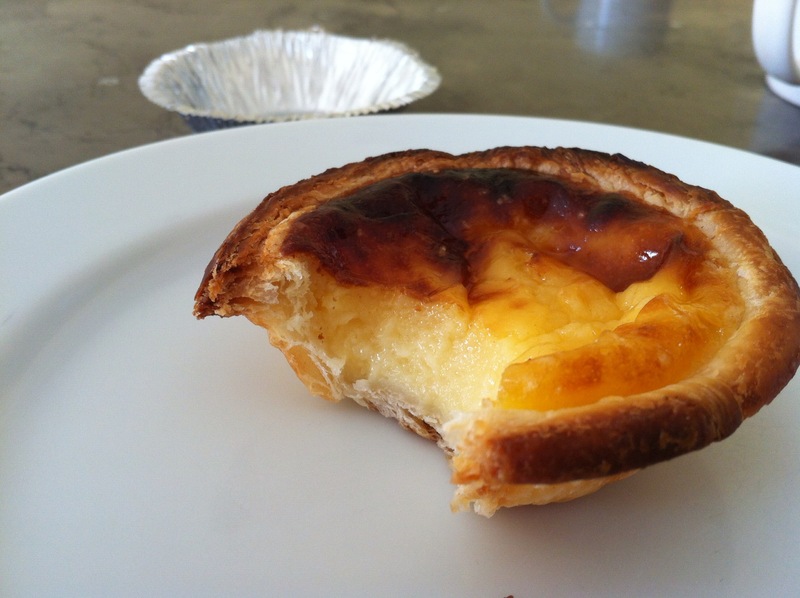 And there it sat, my heavenly morsel of delight, my Portuguese tart. Its layer upon layer of buttery flaky pastry called to me, the burnt custard only adding fuel to my burning flame of desire. Nothing could contain the animalistic reaction that was bubbling up inside of me. I stripped it of its silver case. I lifted it to my mouth. I bit down, hard. The custard was a silken sparkler setting off across my tongue. And the pastry, oh the pastry. Never before had I reached such heights, the beauty of it made me fall to my knees. Again and again I experienced this sweet sticky delight until my tart was gone. Never again was I to experience such a love. That is, until I went to a supermercado and got another one. *The most authentic I have found in London is from Department of Coffee and Social Affairs in Leather Lane. It cannot be denied. That place has great coffee and cakes. A regular lunch time haunt. Sounds like we have similar tastes!